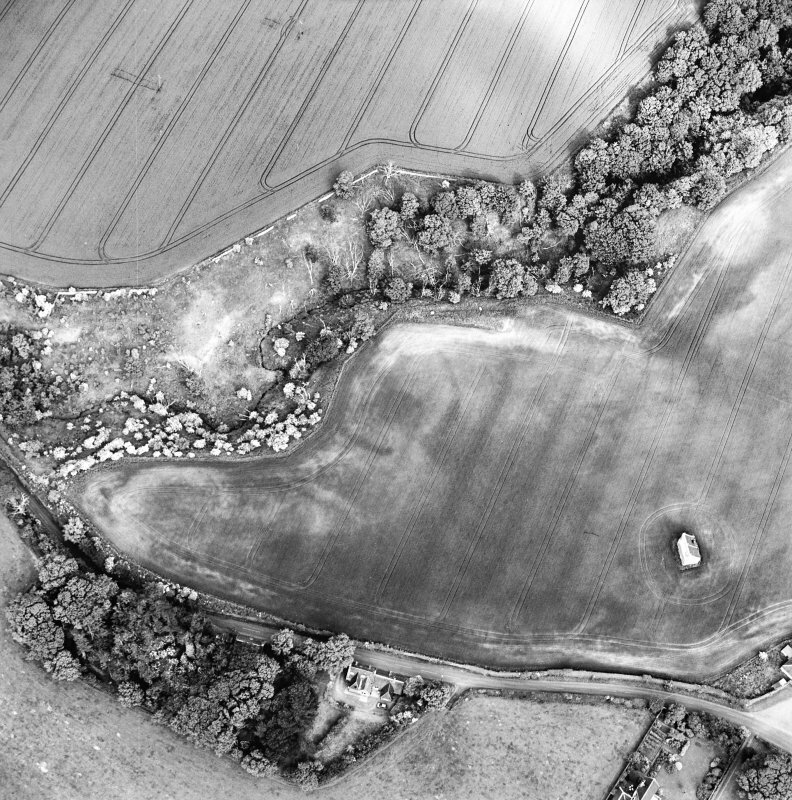 Oblique aerial view centred on the cropmarks of the enclosure with dovecot adjacent, taken from the NNW. 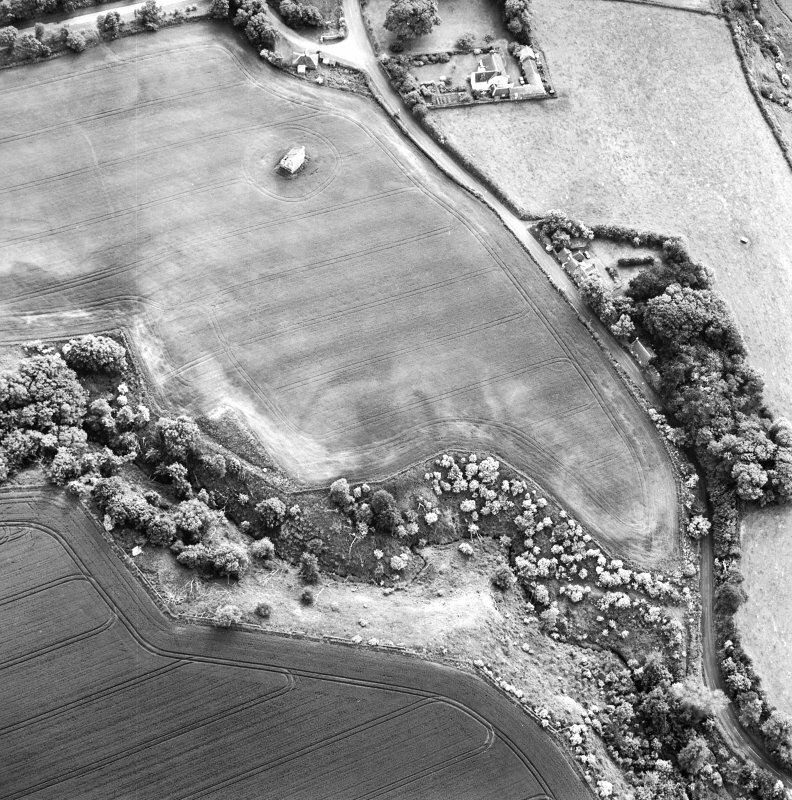 Oblique aerial view of Spott House Dovecot, taken from the SE. 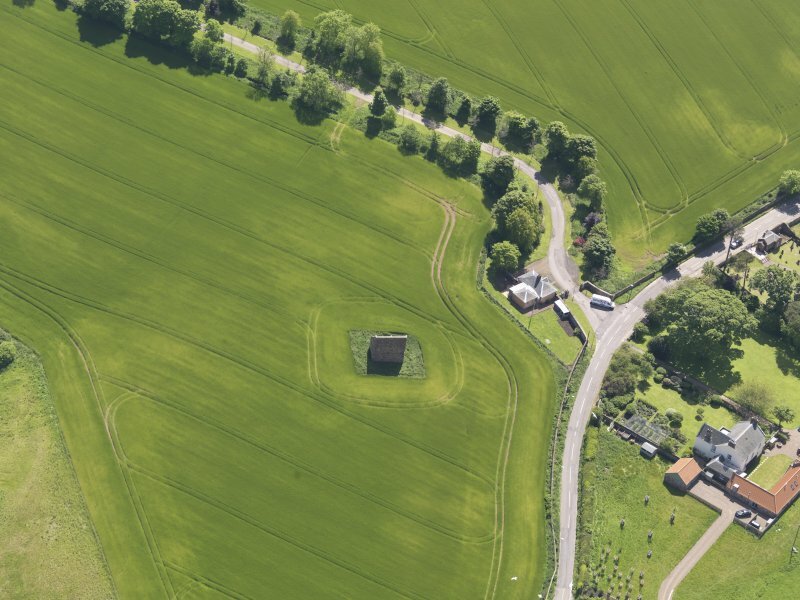 Oblique aerial view centred on the cropmarks of the enclosure with dovecot adjacent, taken from the WNW. 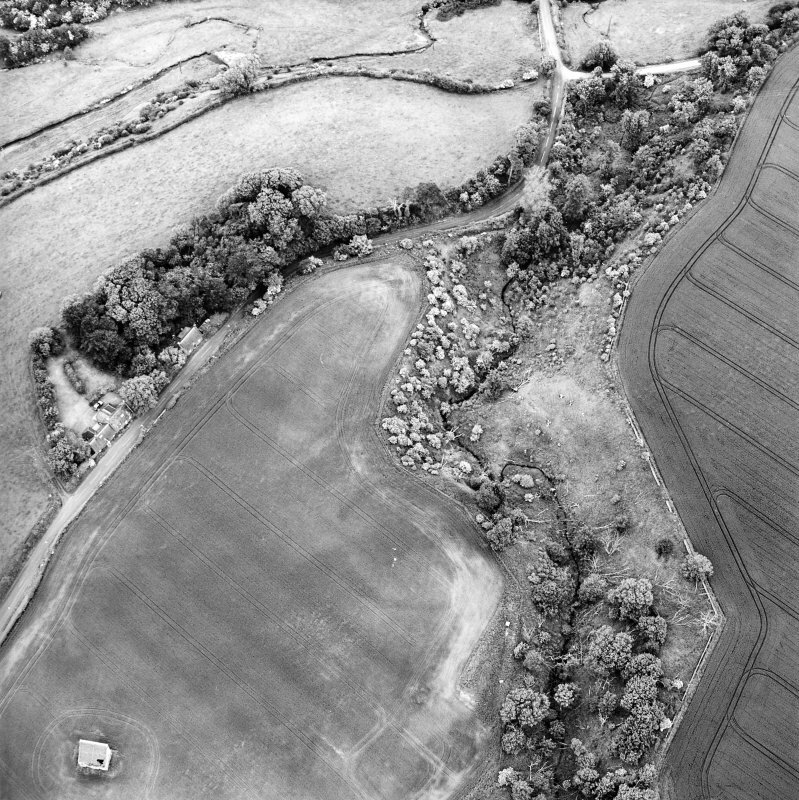 Oblique aerial view centred on the cropmarks of the enclosure with dovecot adjacent, taken from the ENE. 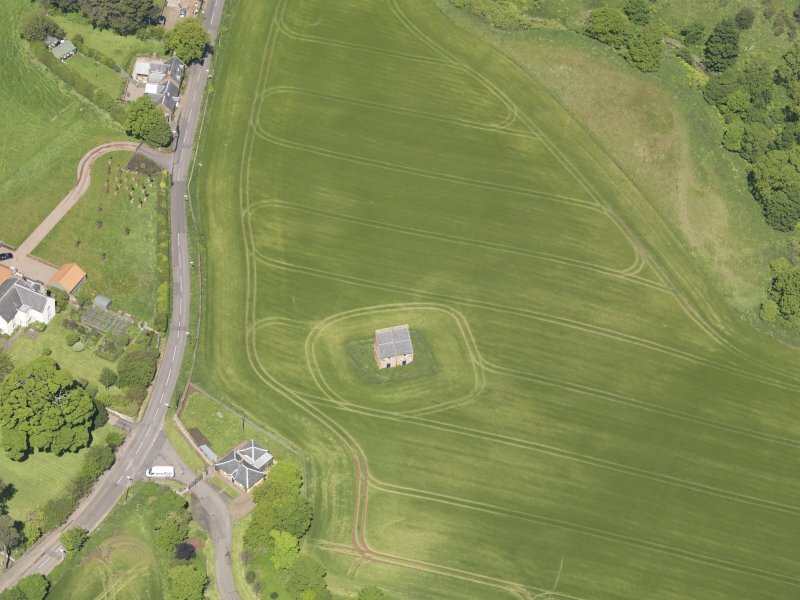 Oblique aerial view centred on the cropmarks of the enclosure with dovecot adjacent, taken from the S.
View of the dovecot at Spott House from SE, with the manse and offices in the background. 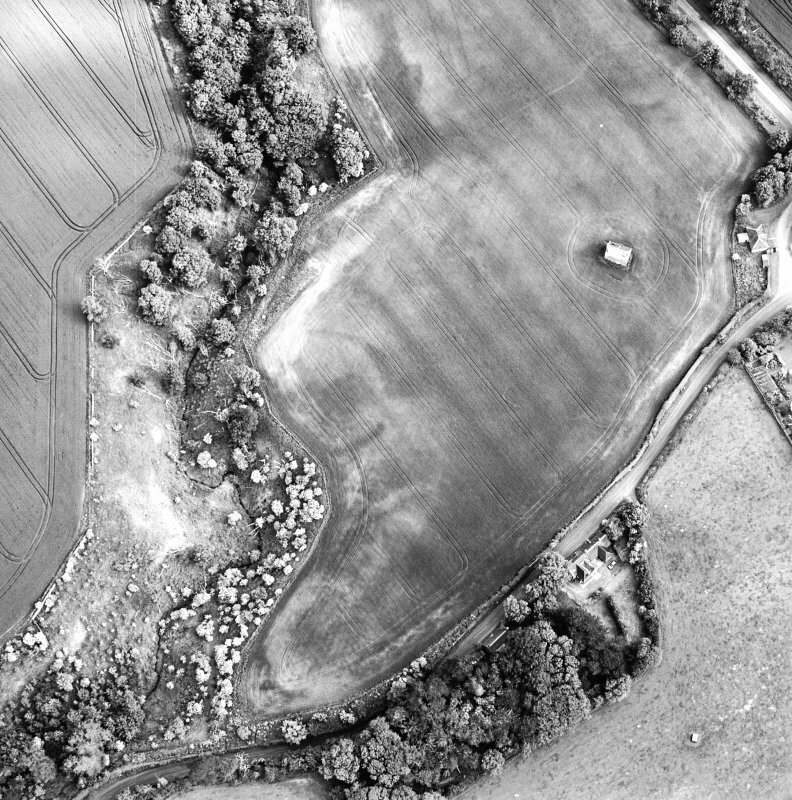 Oblique aerial view centred on the cropmarks of the enclosure with dovecot adjacent, taken from the NW. 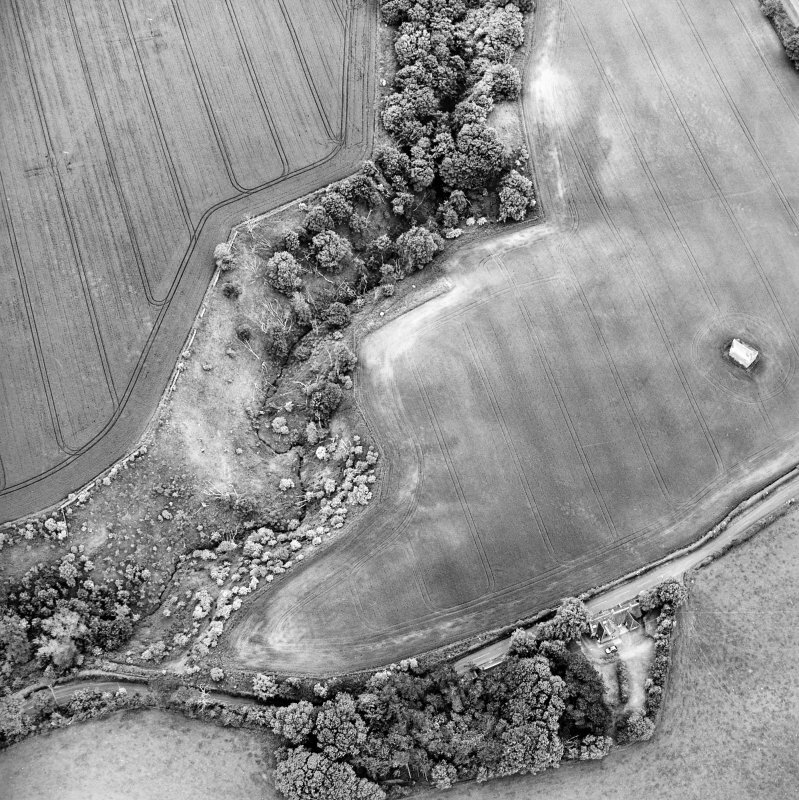 View of the dovecot at Spott House from SW.
Oblique aerial view of Spott House Dovecot, taken from the N.
Oblique aerial view of Spott House Dovecot, taken from the SW. 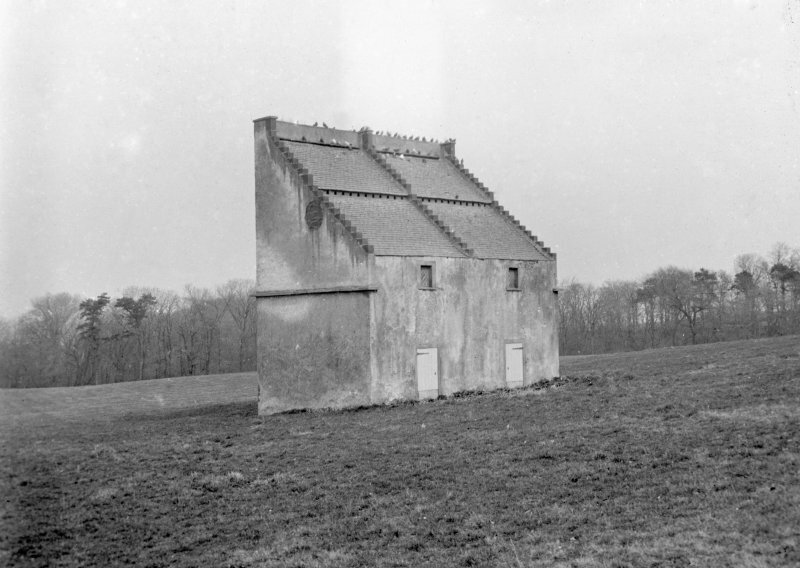 The 18th century lectern-type dovecot at Spott measures 29ft 2 ins by 18ft 7 ins; the front wall is 14ft 2 ins high while that at the rear is 27ft 6 ins high. 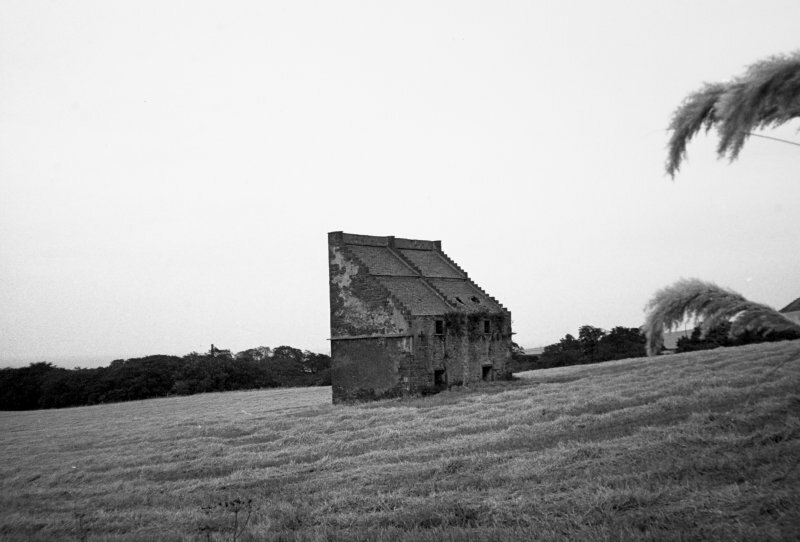 The gables are crow-stepped, and the roof, which contains 24 entrance holes, is slated. 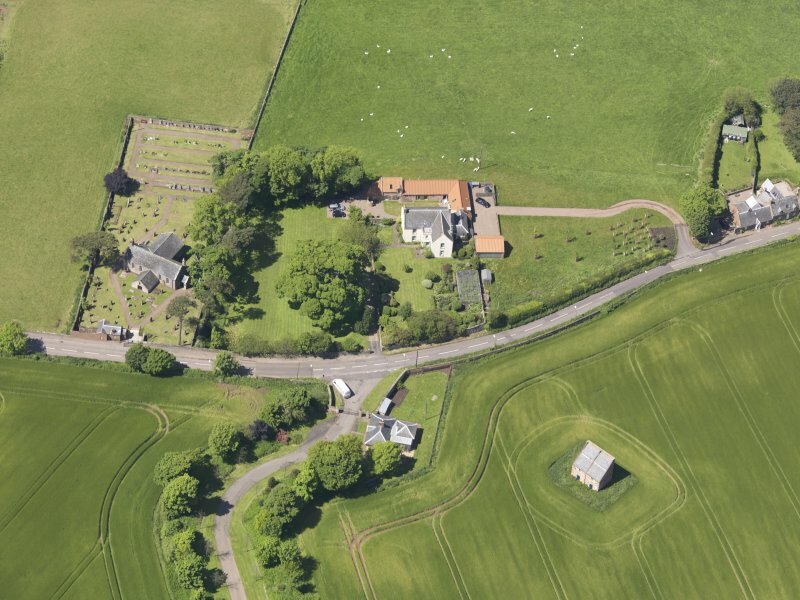 The walls have been harled; there is a single string course extending round all sides except the front, where there are two doors and windows. The two chambers contain a total of 1422 nests, still visited by pigeons. 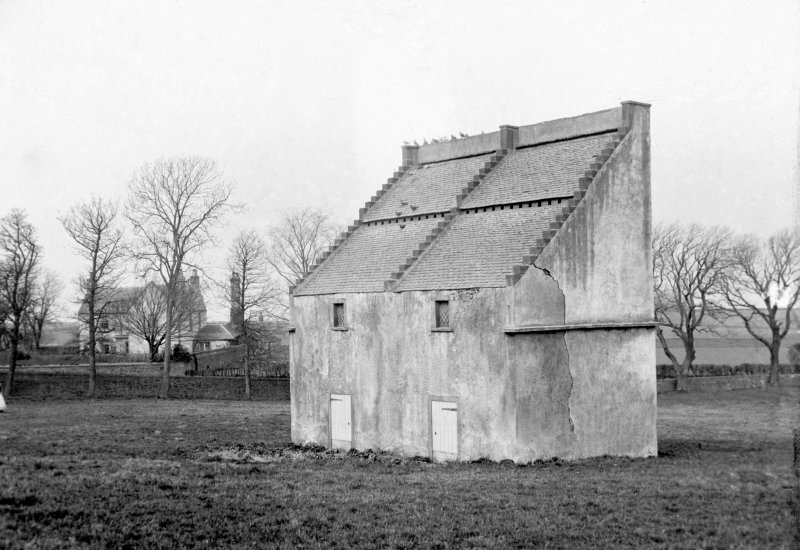 This dovecot is as described by Whitaker.